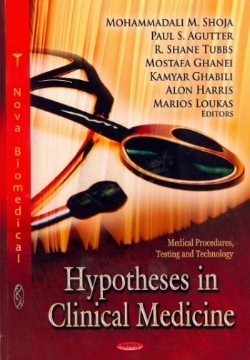 Hypotheses are fundamental to all sciences, including medicine. They play a critical role in motivating the development of science, since interesting and important hypotheses foster the diversity and debate upon which the scientific process depends. It is necessary to learn and understand how to assess a process, realize and discuss details and consequently launch a hypothesis. This book offers a number of novel, non-mainstream hypotheses – in various states of development – from authors with relevant expertise and experience.